George Noory, host of the nationally syndicated program Coast to Coast AM, says if he wasn’t a national radio talk show host, he’d be in politics. Heard by millions of listeners, Coast To Coast AM airs on more than 570 stations in North America. He started in radio at WCAR-AM in Detroit, where his first-ever interview was with nuclear physicist and UFO expert Stanton Friedman. 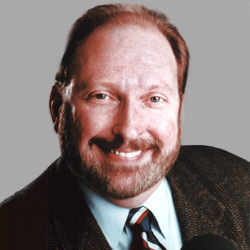 From 1974-1978, he served as news producer and executive news producer at WJBK-TV. At age 28, he became the youngest major market news director in the country at KMSP-TV in Minneapolis. Noory was also the director of news planning and development at KSTP-TV in Minneapolis, was news director at KSDK-TV in St. Louis and the recipient of three Emmy Awards while a news executive. 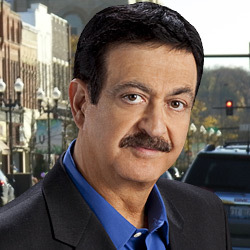 Listen to George Noory weekdays from midnight to 5am on 1430 WCMY. Click here to visit the Coast to Coast AM website.